What should we gather from an asymetrical face? An asymmetrical face demonstrates two states of mind. When the face is divided into two halves (left and right), one can see two completely different emotions displayed on each half. While the left side of this face expresses happiness, the right side expresses sadness. This is precisely what is reflected in the picture of Susan Smith. In everyday life, it is not easy to perceive. But with practice, it is possible. Here, Susan Smith asks the kidnapper to return her children. When her children disappeared, she provided information for a composite portrait to help identify the person who allegedly kidnapped her children. One can easily read the pain Smith tries to show the media. You can even see a tear forming in her right eye. The side of the face: what one wishes to deliver. Here, it is visibly sadness. While showing sadness on the right side of her face, Susan Smith has a genuine smile on her left side – the part that shows what she is truly experiencing inside. On the left half, one sees a person who laughs and thinks: “all goes well, I’m doing away with it…”. In fact, she is the one guilty of drowning her two children. While the ‘game’ of the person is engaged on the right, his/her true emotion is revealed on the left half of his/her face. The right side is what we show to others. The left side is what we truly experience. The Mona Lisa is the work of one of the greatest painters of the time, Mr. Leonardo Da Vinci. The woman feels great satisfaction. She expresses it on the left side of her face. Lips turning up indicate pleasure, well being. * Click on the Mona Lisa image to view it full screen. Here is another example of a face that expresses two emotions simultaneously. Chapleau’s left side is menacing. He attacks Raël. On the left side of Chapleau’s face, one can see that he is being playful, having fun inside. 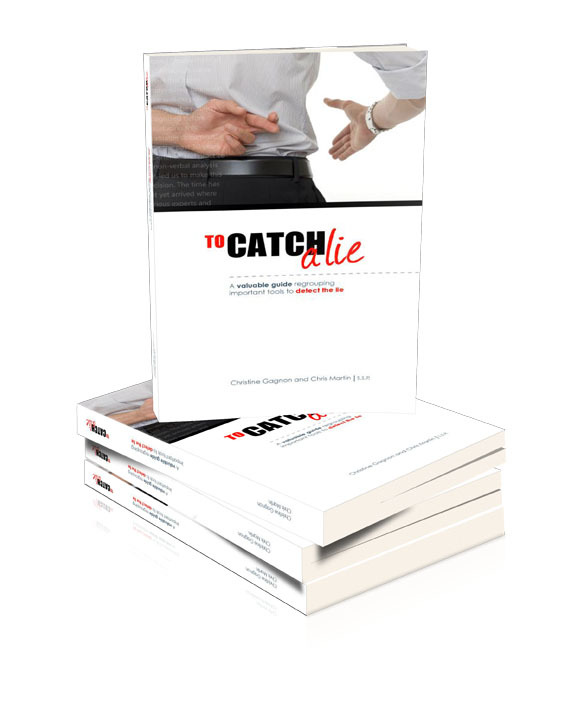 "To Catch a Lie " - Buy the book online!